In a land flowing with beards and kilts, there live two clans who are locked in a silly feud! As tensions escalate, one tribe plans their biggest prank yet. 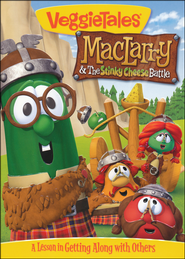 But when the loathsome-smelling Limburger cheese caper goes afoul, will a young inventor named MacLarry use his God-given gifts to help both clans resolve their differences---for good? Haunted by old wounds and regrets, baseball star Cory Brand begins turning to alcohol. But one mistake changes everything. 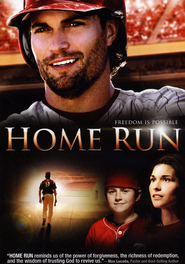 To save his career, Cory must complete a 12-step program in his hometown. 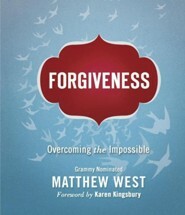 Running headfirst into memories---and the love he left behind---will he discover that nobody is beyond the healing power of God? Dove approved (12+). Rated PG-13. Approx. 113 minutes. 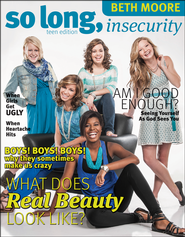 This magazine-style book is a teen version of So Long, Insecurity by Beth Moore. Mixing words of wisdom from Moor with pictures, quizzes, surveys, scripture, and more, the goal of this book is to help girls ages 12-16 live based on God's truth about them, opposed to the world's false messages. Each chapter include: a Q & A with Beth, Sweet Notes (scriptures that pertain to the chapter's subject), Your Stats (a survey/poll of what girls think regarding the subject), Interviews with real girls, and so much more. This three-book collection of the popular Berenstain Bears Living Lights stories will provide children with an ideal gift they will enjoy all year long. The biblical values, morals, and life lessons are invaluable for children throughout every stage of their lives. 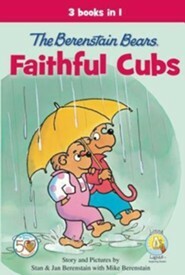 Titles include: The Berenstain Bears Do Their Best: The cubs want to enter a kite-flying contest. Papa and Mama both help the cubs as they build a homemade kite. Will they build the best kite? The Berenstain Bears Discover God's Creation: What happens when Mama Bear tells the cubs there is more to life than their favorite television shows? Join the Bear cubs as they explore the Bear Country community and realize that God's creation is better than any show on TV. The Berenstain Bears Learn to Share: Sister learns that God wants us all to share the good things he has provided, whether it be toys or good times with friends and family. 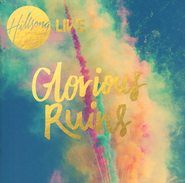 Recorded live in London, England and Sydney, Australia, this always highly-anticipated Hillsong album features the coming together of the Hillsong worship team from around world including Reuben Morgan, Joel Houston, Ben Fielding, UNITED and international teams from London, Stockholm and Cape Town. Since 1992, Hillsong has resourced the local church and received gold and platinum album status multiple times, writing such well known worship songs as "Shout To The Lord", "Inside Out", "Hosanna", "The Stand", “Mighty to Save” and most recently the highest debuting song on the most recent CCLI chart, “Cornerstone”.